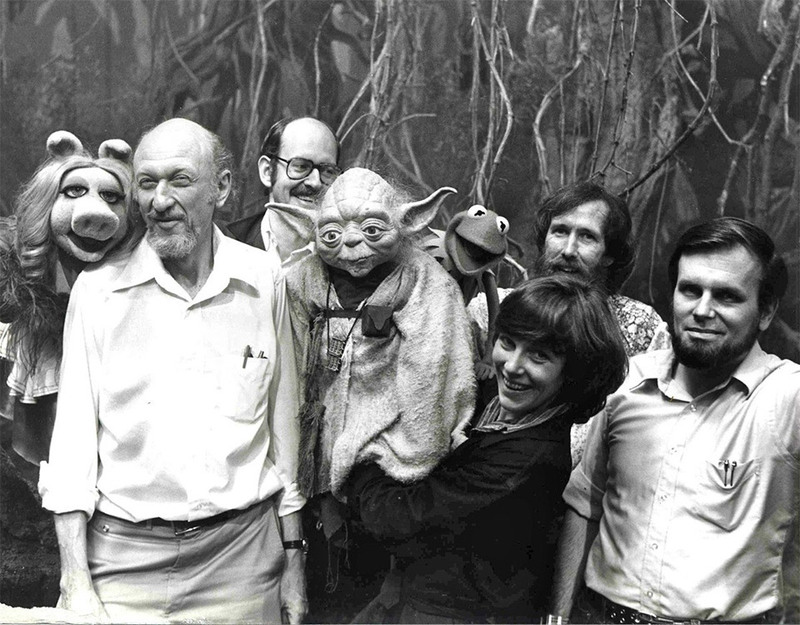 We already know that Muppeteer Frank Oz played the part of Yoda in The Empire Strikes Back. 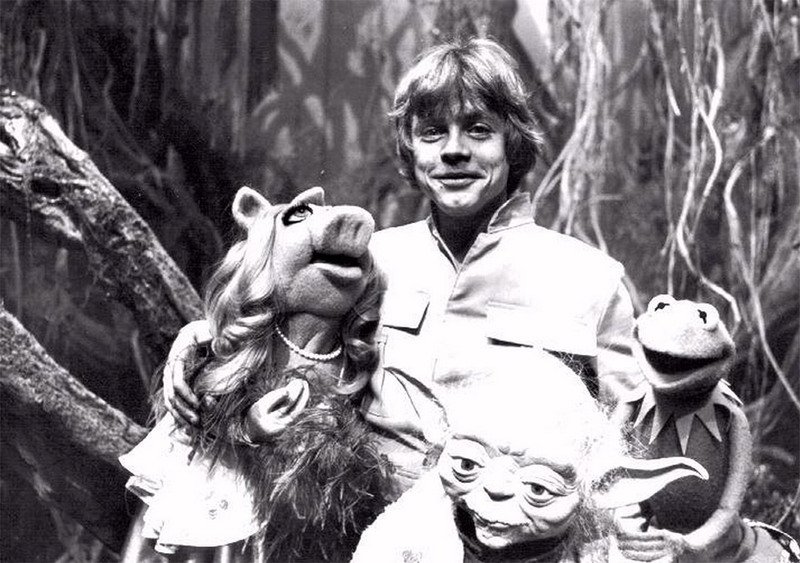 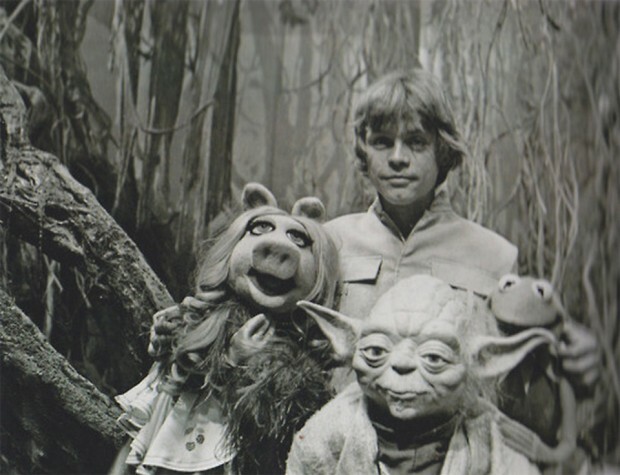 Apparently, his Muppet connections resulted in a very special visit to the Dagobah set during filming, and some images of the occasion recently turned up over on Imgur. 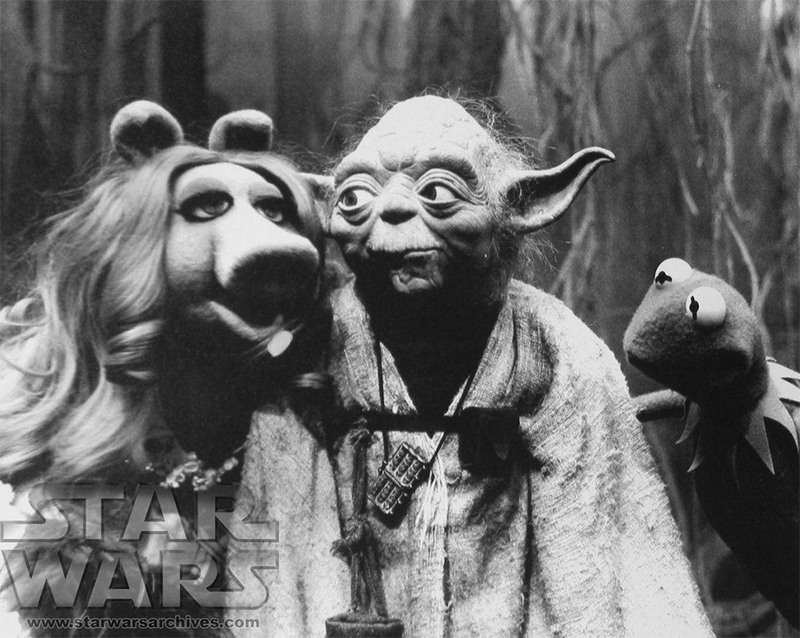 Yes, Kermit and Miss Piggy showed up on set to say hello. 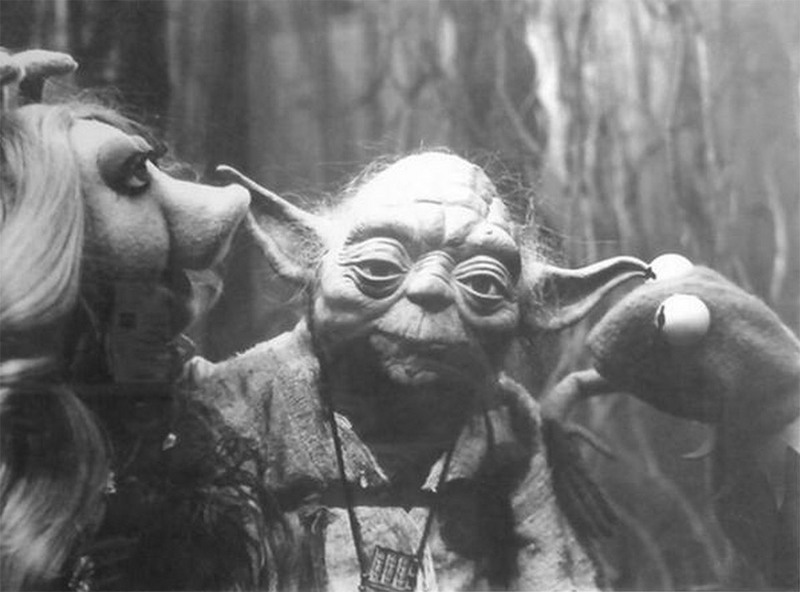 I’m not sure if Miss Piggy and Yoda had a conversation, since Oz voiced both characters. 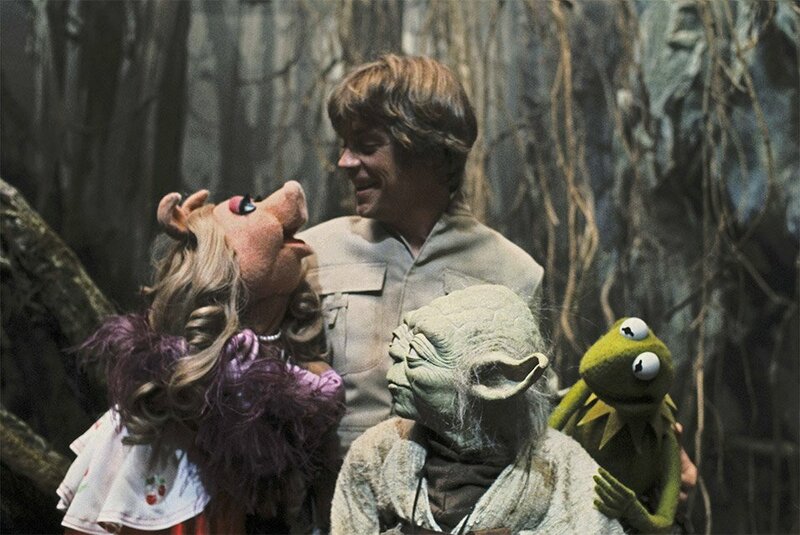 It wouldn’t be until Disney completed its acquisition of Lucasfilm that all three characters would live under the same roof once again.